Home / Brooklyn / hip hop / r&b music / rap / Grisly BK Brings the Past to the Present with His Hip Hop Twist of Tracks "Since Day One" and "Pull Up" with New Project and Music Coming Soon! Grisly BK Brings the Past to the Present with His Hip Hop Twist of Tracks "Since Day One" and "Pull Up" with New Project and Music Coming Soon! 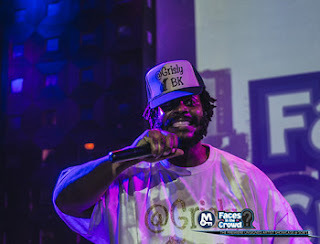 Hip hop up and comer Grisly BK has brought the past into the present with his unique style of sound. He takes his music by mixing it up to create content based material that is a blast from the past, literally the sound of yesterday, just as noted prior of his work's being in the past but in the present. Whilst his music may be a sound of the yesteryear he has gone on to release some singles, including one titled "Since Day One" and another titled "Pull Up". His embracive emotions towards his music is purely aggressive, yet toned remarkable well, that such talent is one that has not been heard before. That said, Grisly BK will take these singles, going forward with putting together a full-length album or EP release of sorts, collecting his music, where his tracks will fit together into a certain situation where everything is cataloged together into a wholesome trek of well-rounded works of art and raw talent. Grisly BK will take on the hip hop scene with his material surely hands down, giving all those a glimpse into his past creations brought into the present, having old fashion being new again, except twisted as well. Check out those singles right HERE.